Primary School Gym Pack 2 - with PlayBond Safer Surfacing. 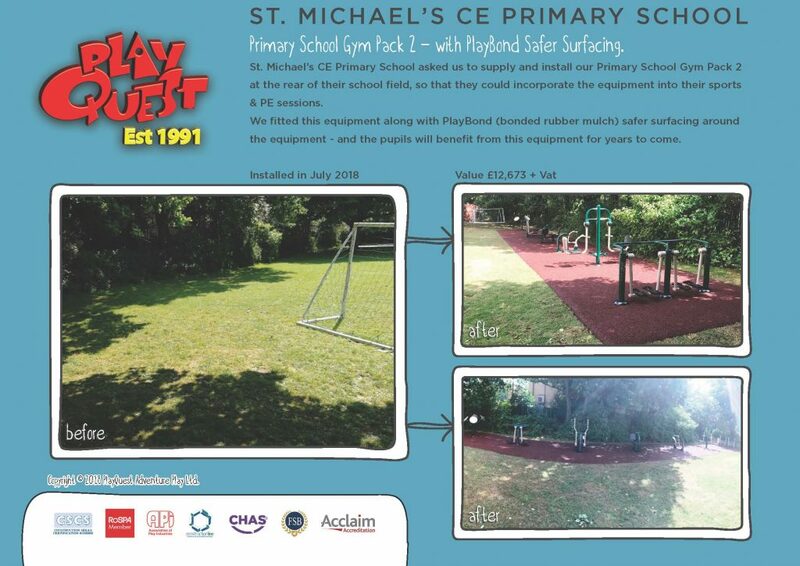 St. Michael’s CE Primary School asked us to supply and install our Primary School Gym Pack 2 at the rear of their school field, so that they could incorporate the equipment into their sports & PE sessions. We fitted this equipment along with PlayBond (bonded rubber mulch) safer surfacing around the equipment – and the pupils will benefit from this equipment for years to come.